For the time being, it is summer and sunny days where I live! 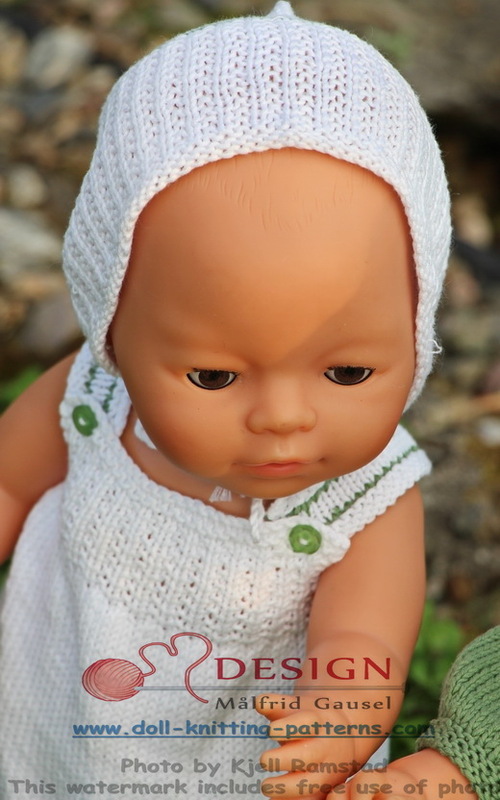 That is why I wanted to knit another garment for my doll in cotton. This time the colors are green and white! 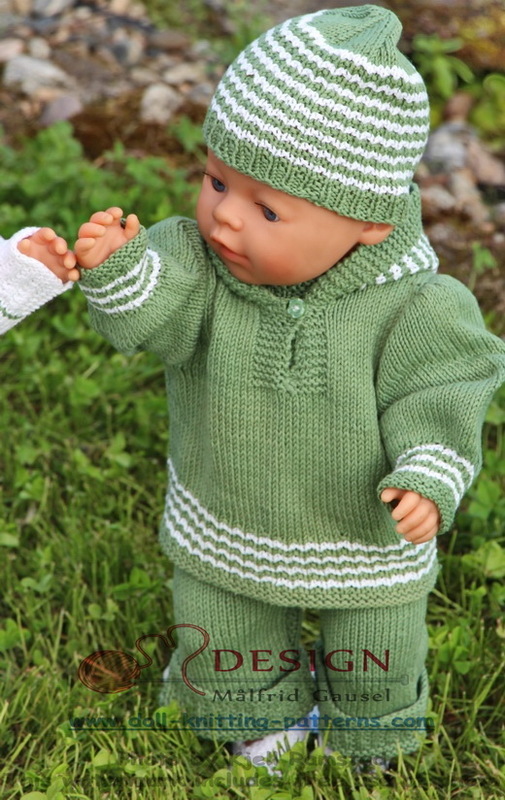 ... green cotton yarn and started knitting a suit for my doll Mikkel. I found a simple pattern. It can be used as a rib as well. However, this time I have used it as the pattern for these clothes. Because of summer and warm days, I have knitted this suit with legs reaching to the middle of the leg with a fold round the leg. Then I knitted small shoes with ankle straps and buttons similar to the buttons on the suit. Nice shoes together with this suit I think! 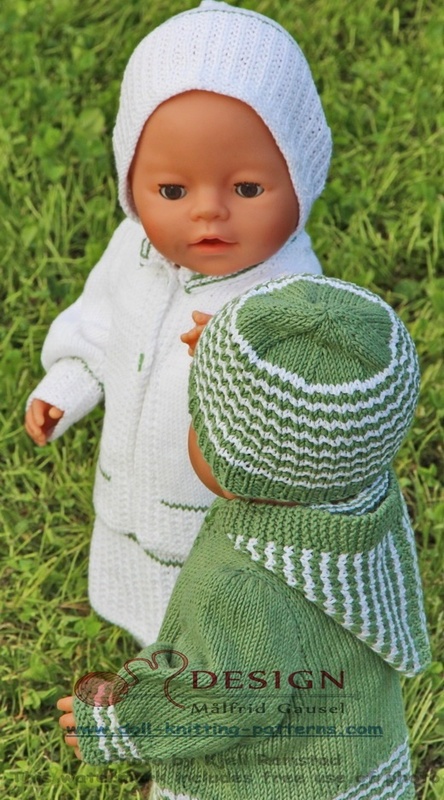 ... this pattern is knitted for both Mikkel and Mille. 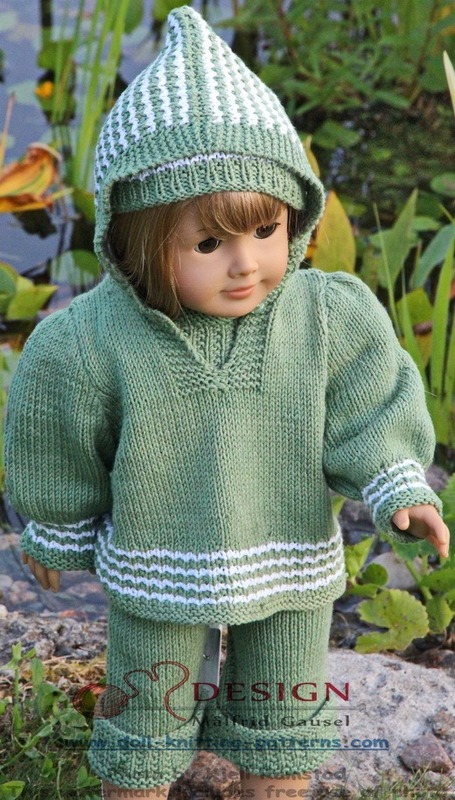 After finishing these clothes, I decided to knit a sweater with a hood for chilly days. ... a row in green. 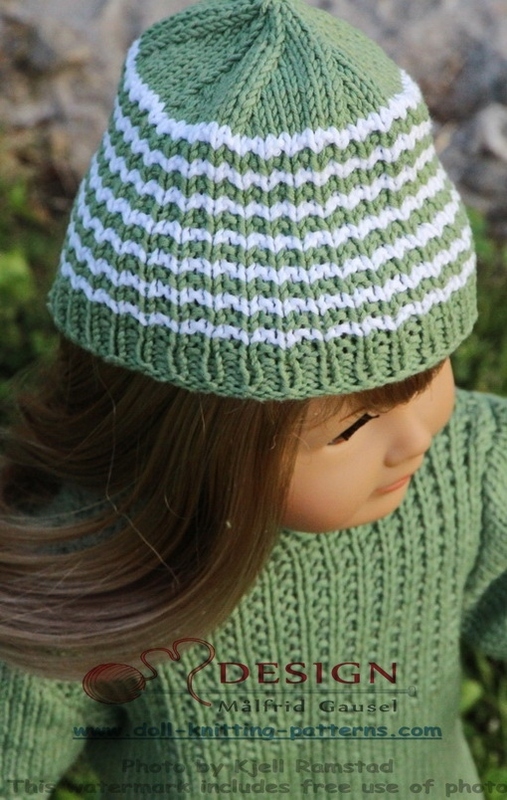 I liked these little green stripes for the dress. As belongings to this dress, Mille got white knee-length socks. 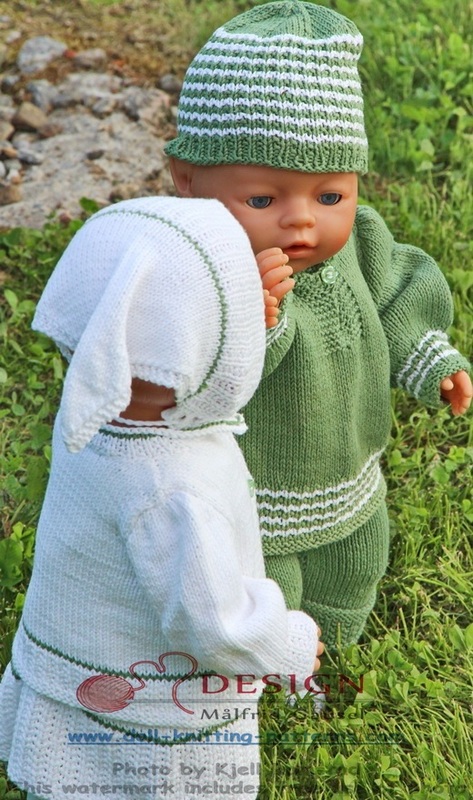 When I had finished these clothes, I was happy with the result. My dolls are both cute and well dressed. As belongings to this dress, Mille got white knee-length socks. 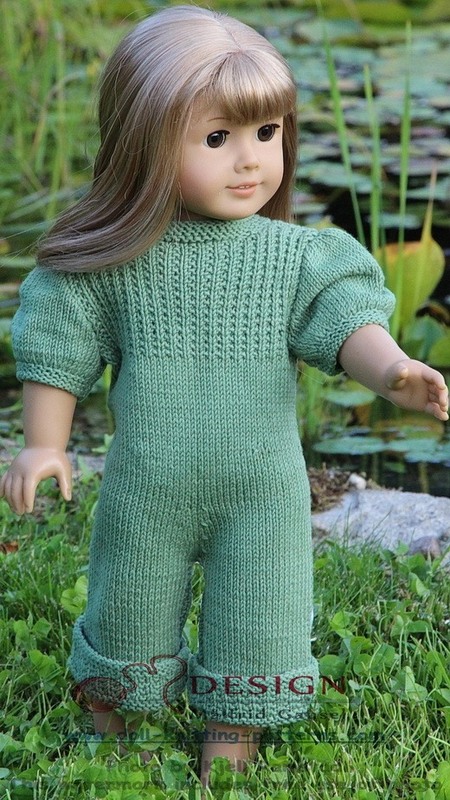 I had a few bundles of green cotton yarn and started knitting a suit for my doll Mikkel. I found a simple pattern. It can be used as a rib as well. However, this time I have used it as the pattern for these clothes. 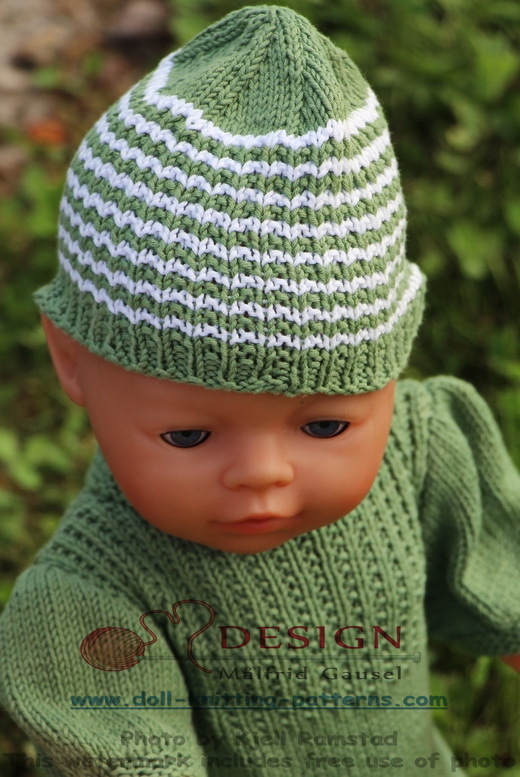 Caps in stripes knitted in this pattern is knitted for both Mikkel and Mille. I looked at Mille and thought she would be cute in a white summer dress. The dress is very simple and very summer. 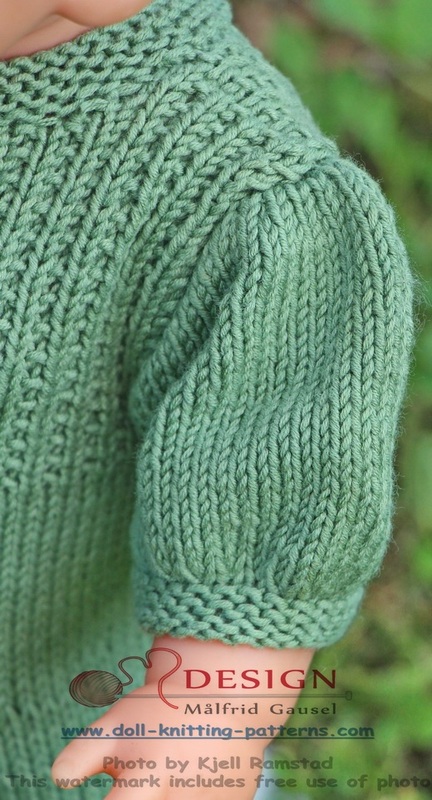 For the dress, I have also used this kind of rib pattern. 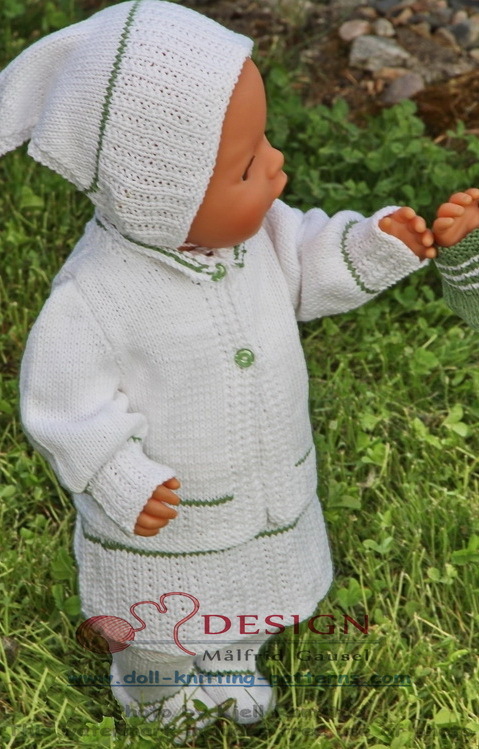 A nice supplement to Mille’s clothes is this white cardigan. It fit well to the dress. 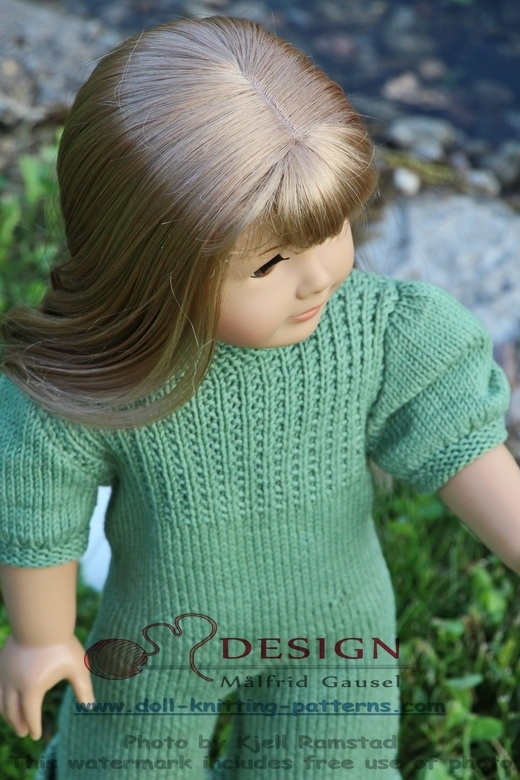 The cardigan has small green stripes just like the dress. 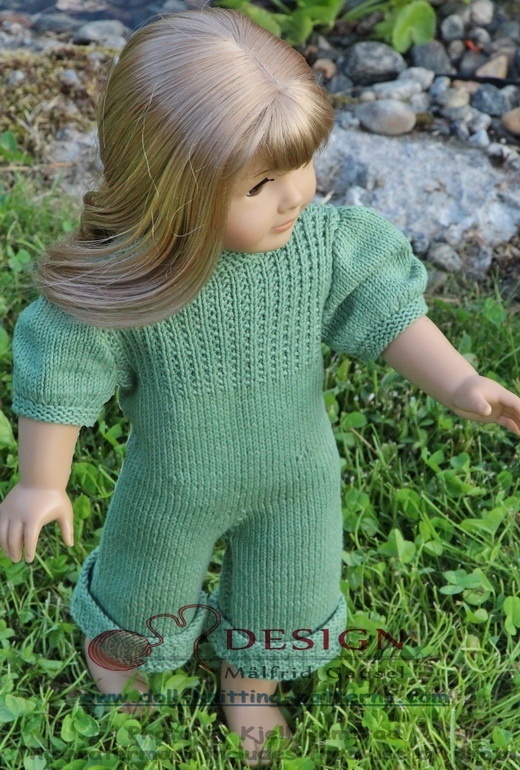 Because of summer and warm days, I have knitted this suit with legs reaching to the middle of the leg with a fold round the leg.